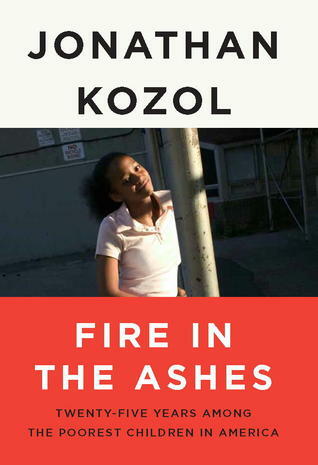 In this powerful and culminating work about a group of inner-city children he has known for many years, Jonathan Kozol returns to the scene of his prize-winning books Rachel and Her Children and Amazing Grace, and to the children he has vividly portrayed, to share with us their fascinating journeys and unexpected victories as they grow into adulthood. For nearly fifty years Jonathan has pricked the conscience of his readers by laying bare the savage inequalities inflicted upon children for no reason but the accident of being born to poverty within a wealthy nation. A winner of the National Book Award, the Robert F. Kennedy Book Award, and countless other honors, he has persistently crossed the lines of class and race, first as a teacher, then as the author of tender and heart-breaking books about the children he has called “the outcasts of our nation’s ingenuity.” But Jonathan is not a distant and detached reporter. His own life has been radically transformed by the children who have trusted and befriended him. Never has this intimate acquaintance with his subjects been more apparent, or more stirring, than in Fire in the Ashes, as Jonathan tells of young men and women who have come of age in one of the most destitute communities of the United States. Some of them never do recover from the battering they undergo in their early years, but many more battle back with fierce and, often, jubilant determination to overcome the formidable obstacles they face. As we watch these glorious children grow into the fullness of a healthy and contributive maturity, they ignite a flame of hope, not only for themselves, but for our society. The growing under-class of disenfranchised poor has long been a hidden bruise on the face of America of which few have dared to speak. Fire In the Ashes dares not only to give voice to a few such people, but to allow an entire generation to tell its stories. This book is a look into the long term effects of poverty, neglect, and social ambivalence on a people, and the ways in which they have overcome or been overcome by their circumstances. When reading this book it becomes glaringly apparent that though the stories found here are heartbreaking and often tragic, the people are not. They are prime examples of spirits which fight with all that they have not to be broken. They want better for themselves, their children, their community, and the world at large. They do not tell their stories to garner pity or charity from the audience; they simply are trying to be heard, not as a sound bite on the local news, but as people, strong, dignified, indomitable, and deserving of greatness. Teaser Tuesday #14...You Know You Want It!! What Will You Be Reading "Thursday at Noon"
Teaser Tuesday #13...You Know You Want It!! It's Hard to Find Fault with "Glitch"
Teaser Tuesday #12...You Know You Want It!! Nothing Shines Quite Like "Silver".